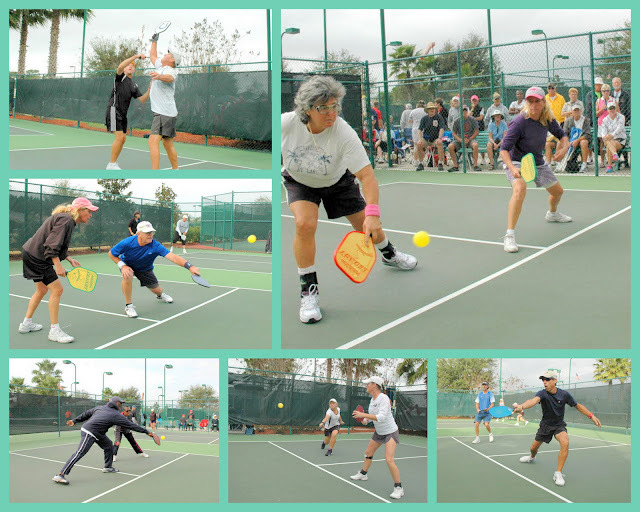 This annual event took place from January 17-19 at the beautiful pickleball courts at the Del Webb Spruce Creek Community in Summerfield, Fl. Over 200 players participated in this USAPA Sanctioned Tier 3 tournament which featured doubles, singles and mixed doubles competition. A double elimination event that brought out some of the very best players across the state and beyond. According to Jim Claycomb: We had 203 players this year -- a new record. A little rain and wind that pushed us to the third day. Even with 12 courts used for match play and 3 portable nets for warm up on the tennis courts, we played well into the evening. Check the USAPA Results page for tournament winners. CLICK HERE for more action shots from the tournament!